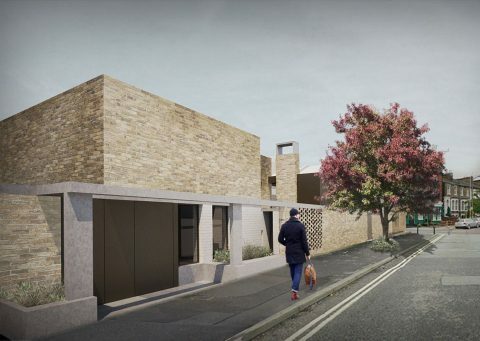 We were commissioned to design two new three-bedroom homes in south London by an architect with a long, distinguished career in sustainable design and construction. The homes strive for high environmental standards whilst responding to their Conservation Area context. 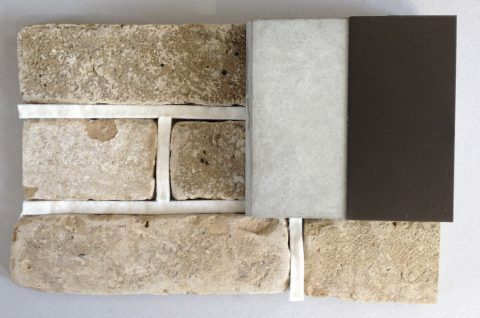 Our design had to balance the stringent environmental criteria whilst creating a high-quality architectural response to the historic context. The site is a corner plot of land that was bomb damaged during WWII. Once cleared, the end terrace dwelling was never replaced and is currently a row of dilapidated, disused garages. Planted within the pavement adjacent to the site are two trees. These trees direct the positioning of the mass (and open space) within the site, in order to conserve their health and maintain their significant contribution to the streetscape. Each house, although connected through material and detail, is a particular response to its specific situation. 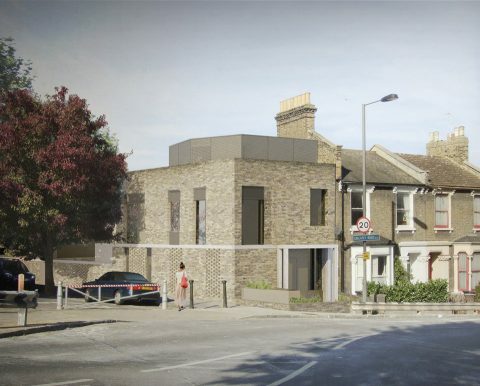 The corner house reinstates the mass of the dwelling that once stood here with a formal street elevation that, through window openings and a projecting bay entrance, references and completes the existing continuous Victorian elevation. As this dwelling turns the corner, the side gable remains square with punched openings that reference the Georgian gable at the opposite end of this secondary side street. 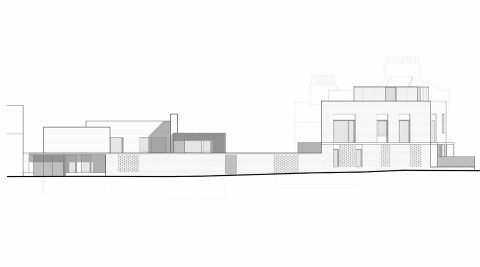 The rear of the dwelling has an informal language of infill and off-shoots responding to the demands of the layout, much like its existing neighbours. 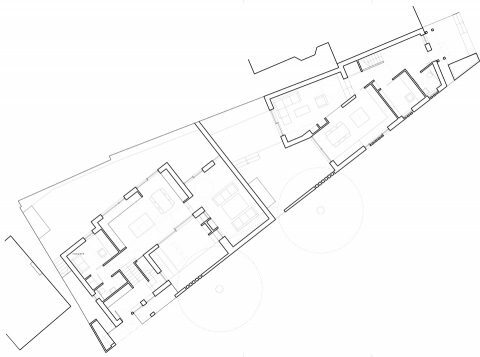 Internally the plan is allowed to peel apart creating a sequence of spaces and rooms that is much less conventional. The second house is also a response to the history of the site. This section of the site was historically used as a stable yard, housing horses that moved coal from a neighbouring railway yard to various parts of south London. From historic maps it seems that these stables were an informal accumulation of sheds that were built and modified over time. 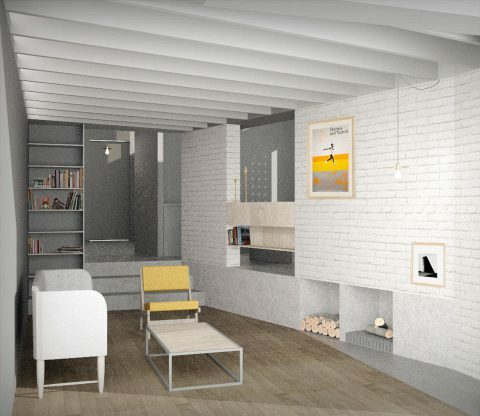 In reference to this, the house has a more ad-hoc feel, as if it is a conversion of smaller industrial buildings, with the spaces arranged in three stepping masses. 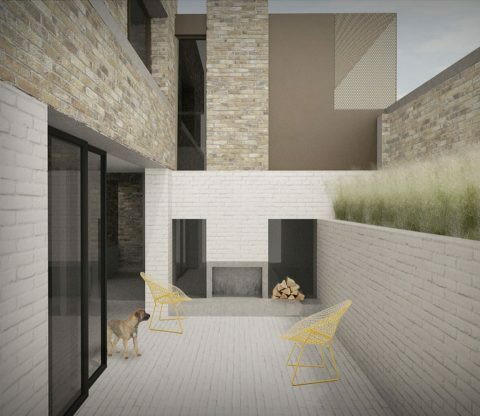 At its centre is a small south-facing courtyard with an external fireplace creating an additional room. An existing tree is used to provide seasonal shading and prevent excessive solar gain to this space and the living areas. 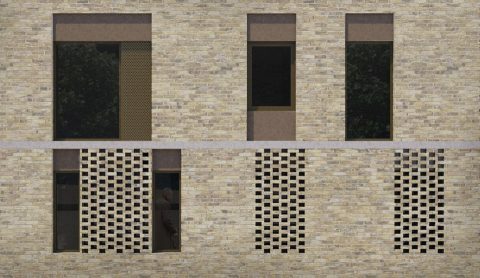 The internal arrangement features split levels in order to control the mass of the dwelling to the street whilst also meeting the demands of a family home. The completed composition of the two houses creates an arrangement that is common to such planned areas in London – where primary street-facing elevations have a formal quality but within the depths of the block, on secondary side streets, there are industrial mews with small buildings or workshops. These buildings might have a small chimney to keep workers warm or support small industrial activity. 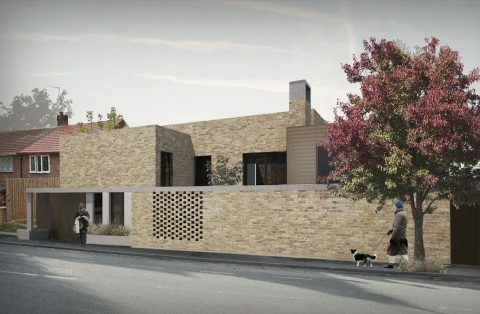 Following extensive negotiations with the local planning authority and conservation officer the houses were granted planning consent and are scheduled for completion in Autumn 2015.